The measure will require 60 votes to advance and is expected to fail, both because Republicans hold the majority in the Senate and because many Democrats, including Senate Minority Leader Chuck Schumer, D-N.Y., are expected to vote present in protest of what they call an openly political show-vote. It's possible the vote could slip to Wednesday. 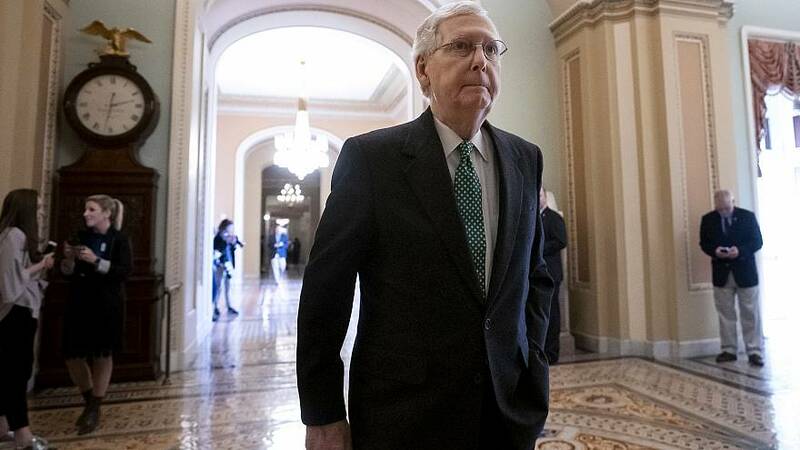 Republican congressional leaders have criticized the Green New Deal for weeks, arguing that it would devastate the U.S. economy. GOP lawmakers are hoping that the vote will put Democrats in a tough spot politically, especially those up for re-election or running for president in 2020. Ocasio-Cortez, D-N.Y., joined Sen. Ed Markey, D-Mass., in February to introduce the resolution, which calls for a complete transition to renewable energy by 2030 and eliminate greenhouse gas emissions. Some of its Senate cosponsors include Democratic presidential contenders Kamala Harris of California, Kirsten Gillibrand of New York, Elizabeth Warren of Massachusetts, Cory Booker of New York and Amy Klobuchar of Minnesota. "The proposal we are talking about is, frankly, delusional," McConnell said on the Senate floor earlier this month. "It is so unserious that it ought to be beneath one of our two major political parties to line up behind it."